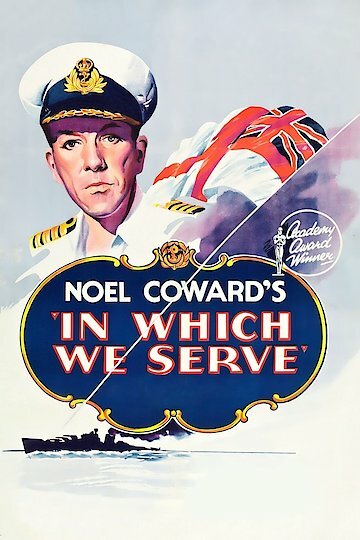 "You'll Never Forget...In Which We Serve"
This British war film takes place and was filmed during WWII. The plot follows the story of the HMS Torrin and it's crew. The men are bravely fighting off the Germans from the sea. Their ship is damaged during a battle and lives are lost. The survivors are rescued only to be reshipped out, their honorable captain promises vengeance against the Germans who sank their ship and killed their men. In Which We Serve is currently available to watch and stream, download, buy on demand at Amazon Prime, FlixFling, FlixFling VOD, Amazon, iTunes online.